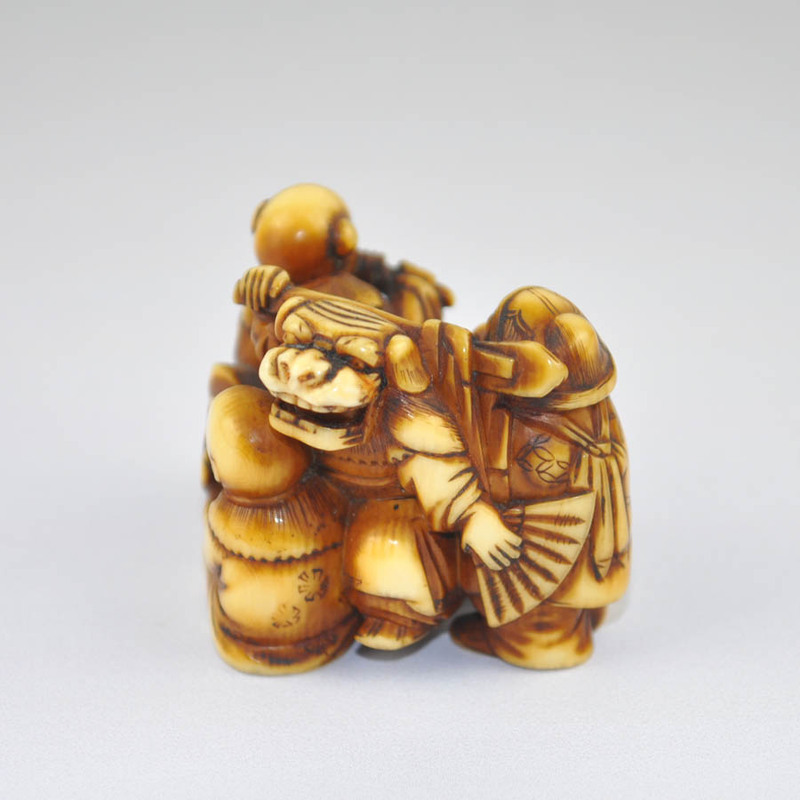 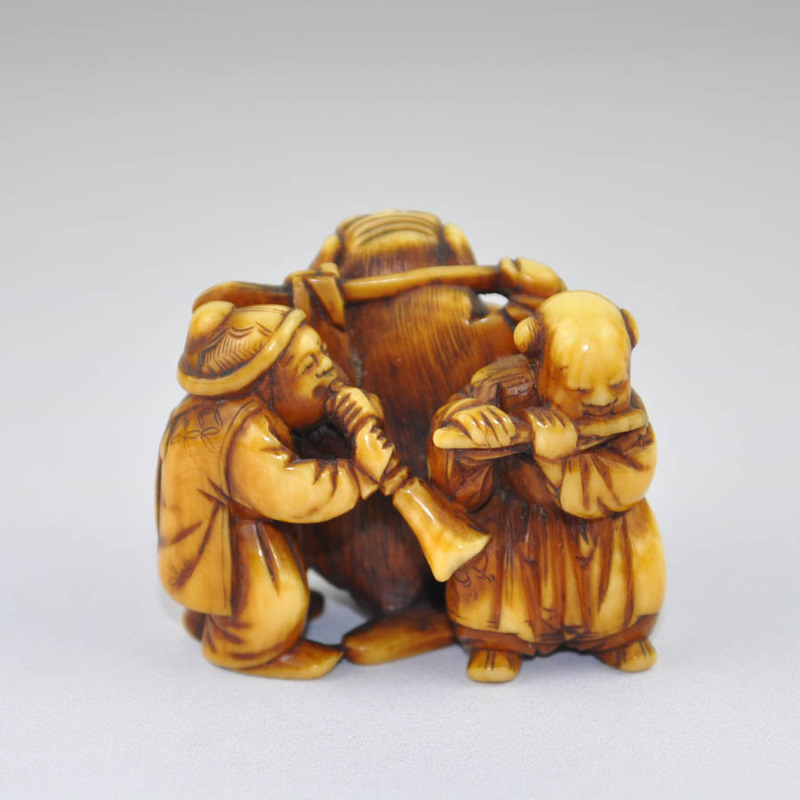 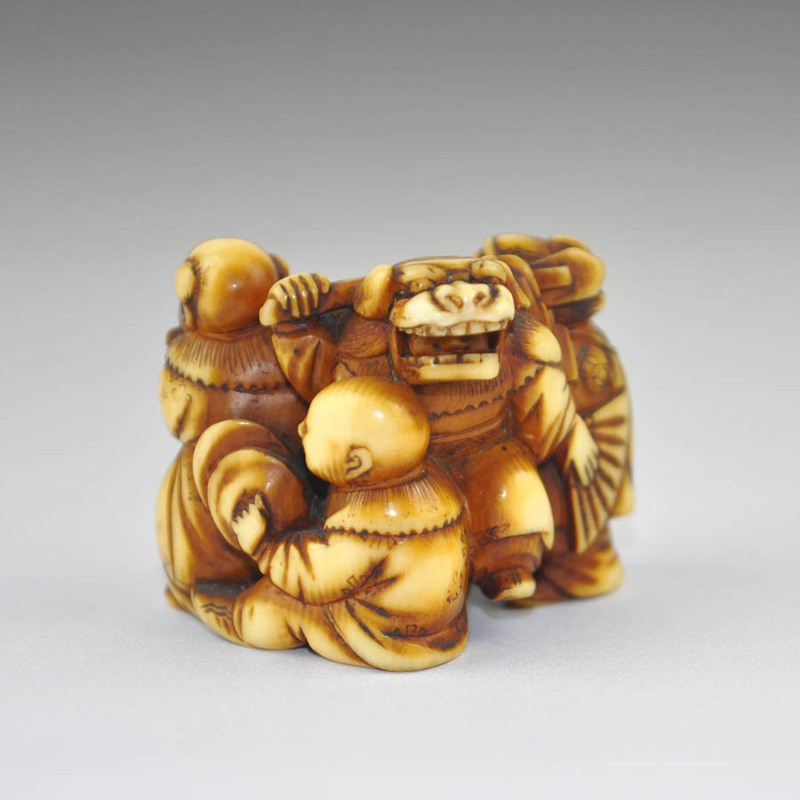 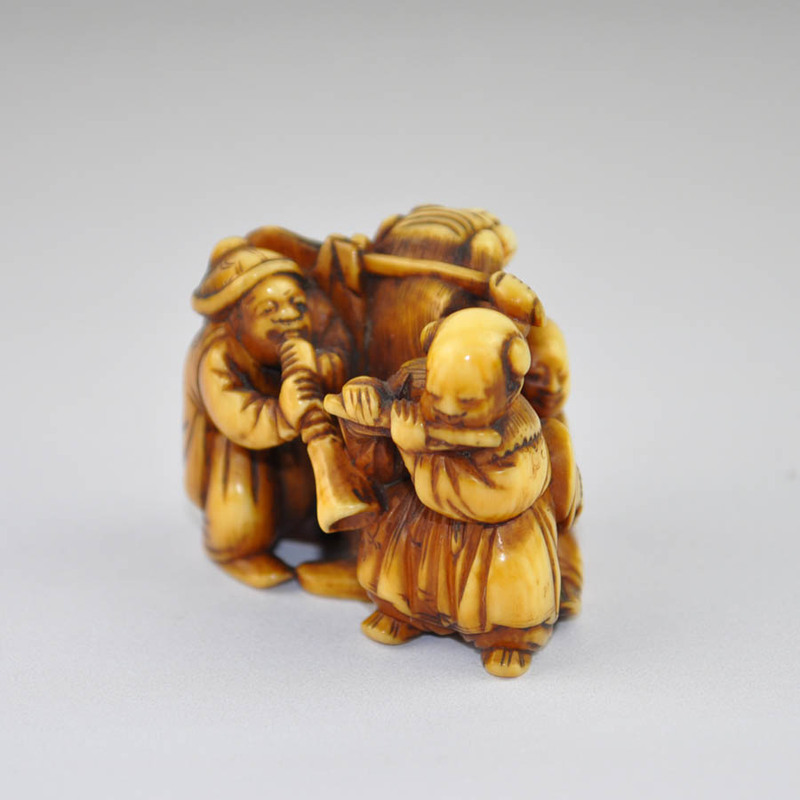 Ivory netsuke carved with a group of four Chinese children (karako) with trumpet, flute, cymbal and shishi mask. 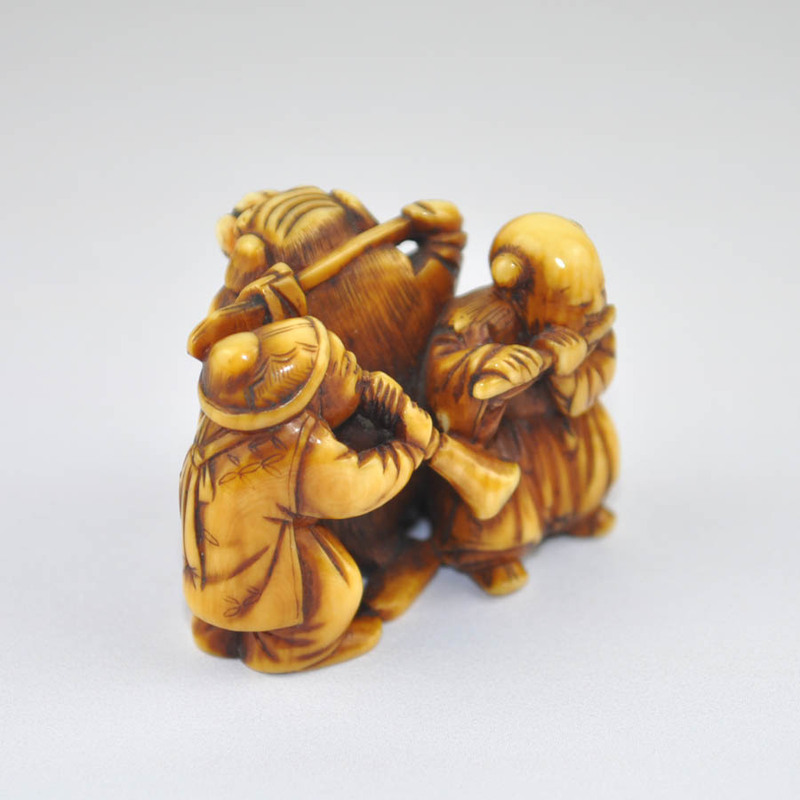 Finely carved in the smallest details. 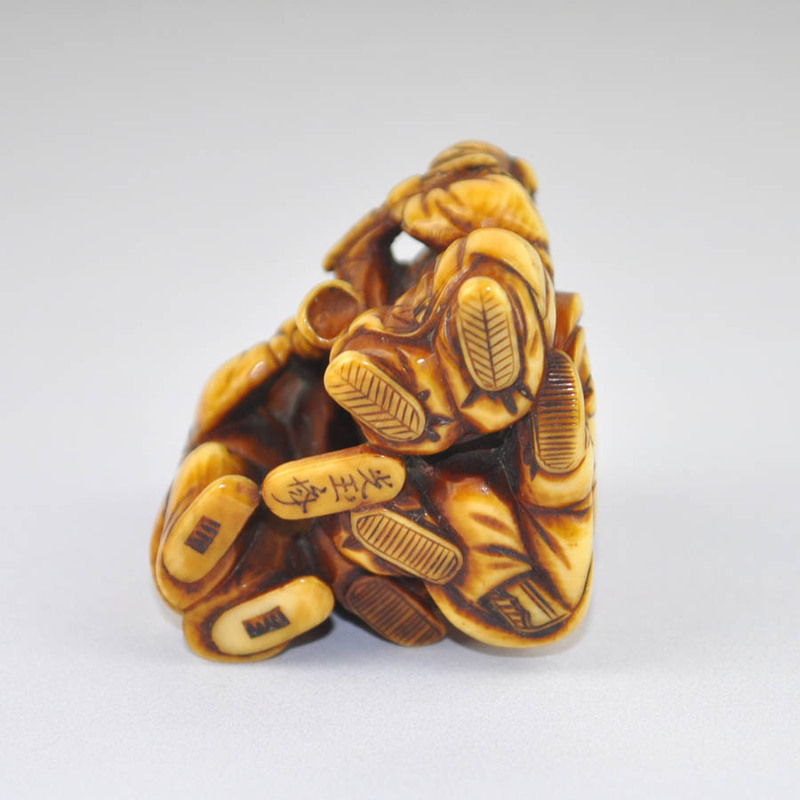 With a beautiful patina. 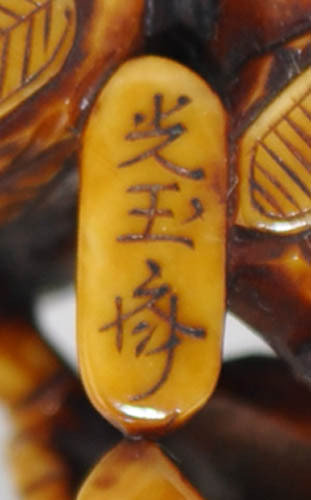 Natural himotoshi at the base.